Computer Class: As part of our plans to help the villages which had given us the land for Project ANANDA on lease, we had proposed to conduct basic computer classes for the village children. This was also the desire of the Village seniors. 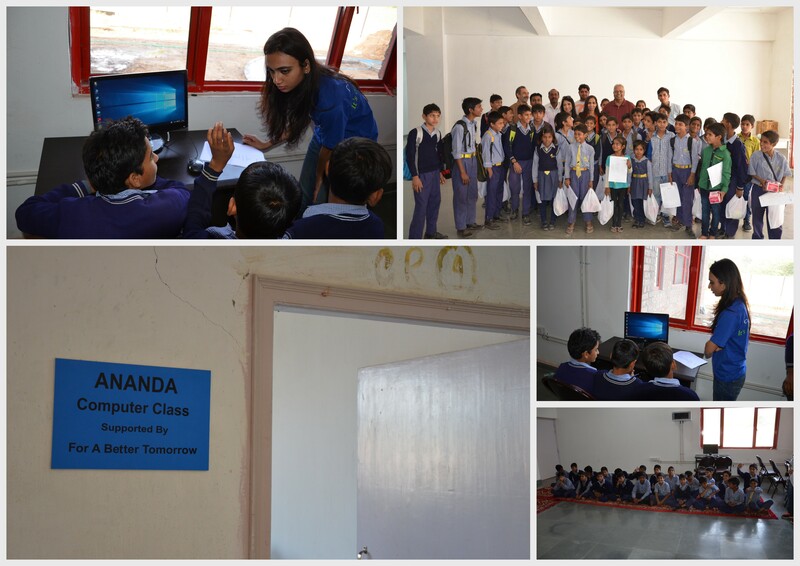 With the help of "For A Better Tomorrow", a US based organization we equipped the computer class room at Project ANANDA site. The same was inaugurated on 25th November 2016 by Shri Jeetram Rathee of Village Gairatpur Bas. There were 45 village school children present who evinced keen interest. 12 volunteers from Deloitte interacted with the children. Some pictures are enclosed.